Berat is a city located in south-central Albania and the capital of both the District of Berat and the larger County of Berat. The population at the 2011 census was 32,606. In July 2008, the old town (Mangalem district) was inscribed on the UNESCO World Heritage List. 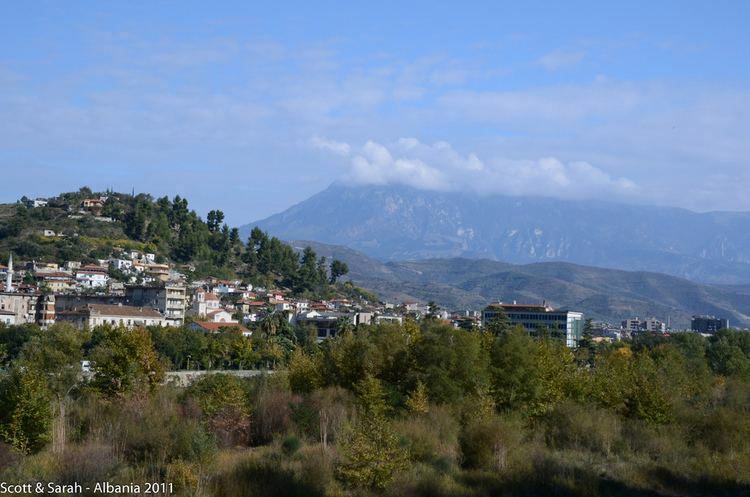 Berat lies on the right bank of the river Osum, a short distance from the point where it is joined by the Molisht river. It has a wealth of beautiful buildings of high architectural and historical interest. The pine forests above the city, on the slopes of the towering Tomorr mountains, provide a backdrop of appropriate grandeur. The Osumi river has cut a 915-metre deep gorge through the limestone rock on the west side of the valley to form a precipitous natural fortress, around which the town was built on several river terraces. According to an Albanian legend, the Tomorr mountain was originally a giant, who fought with another giant, called Shpirag over a young woman. They killed each other and the girl drowned in her tears, which then became the Osum river. Mount Shpirag, named after the second giant, is on the left bank of the gorge, above the district of Gorica. 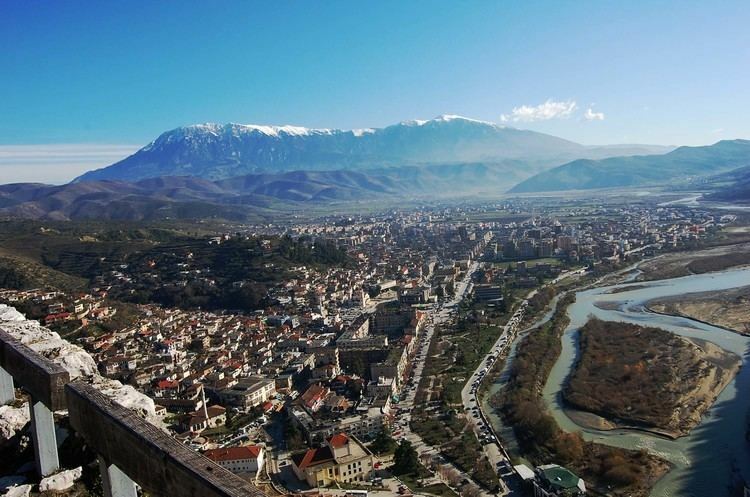 Berat is known to Albanians as the city of "One above another Windows (a similar epithet is sometimes applied to Gjirokastra), or The City of Two Thousand Steps. It was proclaimed a Museum City by the dictator Enver Hoxha in June 1961. The earliest recorded inhabitants of the city (6th century BC) were the Greek tribe of the Dassaretae or Dexarioi, the northernmost subgroup of the Chaonians, and the region was known as Dessaretis after them. Modern Berat occupies the site of Antipatreia (Ancient Greek: ), which originally was a settlement of the Dexarioi and later a Macedonian stronghold in southern Illyria. The founding date is unknown, although if Cassander is the founder it has been suggested that Antipatreia was founded after he took control of the region around 314 BC. In 200 BC it was captured by the Roman legatus Lucius Apustius, who razed the walls and massacred the male population of the city. By the 18th century the economy and society of Berat was closely connected to the citys craft guilds partly related to various tax exemptions that existed since the late Middle Ages. By 1750 there were twenty-two guilds, the most important of which were the tanners, the cobblers and other leather-working guilds. Other guilds included metal-working, silver-smithing and silk-making ones.